In this article, Chevron printed clothes and the various options of styling them are discussed for the benefit of the reader. We are sure you would have your own collection of stripes, polka dotted and checkered apparels but have you ever tried out Chevron styled apparels. Well if you have ever come across diagonal shaped lines that assemble in a zig zag pattern this style is called chevron and its back in style. 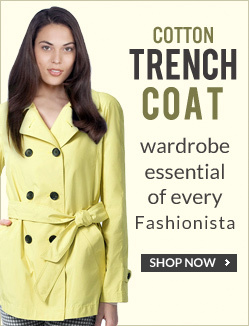 Wearing this material will give you a good fashion change, if you are tired of wearing woolen or tartan wears this winter. In this article we are going to look at some really fabulous styles in which can we sport the Chevron style. A chevron styled maxi dress of the right shade is bound to get you admirers. The chevron wavy styles are awe inspiring and when embedded in a flowing maxi dress it will surely make you look adorable. You can plump up your image to one of a model diva by accessorizing well by using a Jacket, a fur scarf and the right pairs of footwear. 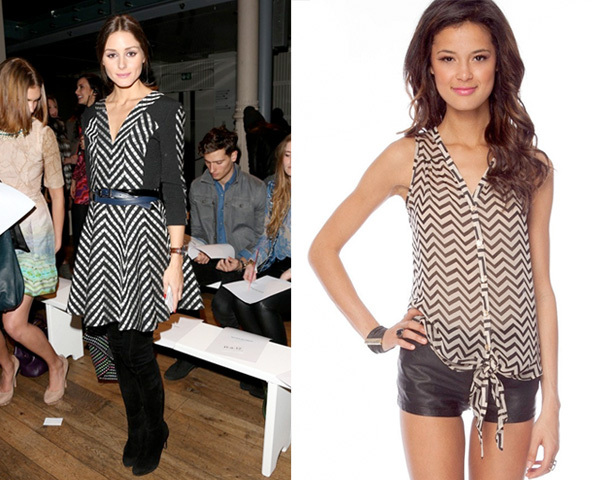 You can maximize the glam effect of your neutral apparels by mixing it with chevron styled apparels. Use neutral accessories and this combination can be considered a great for casual wear. Something that will never goes out of style is print designs, try mixing chevron tops with them and it will be a trend setter. If you are tired of wearing stripes, then this sort of mixing and matching will be a welcome change. Every day is a brand new day, wearing chevron apparels and matching them with the right accessories is bound to make a fashion statement. The winter this time is a little harsh and you are sure to be wearing woolen apparels, our only suggestion is to try using chevron styles wherever possible, it will bring new life. Sporting chevron styles are a welcome change in the daily apparel of a fashion diva. Though the weather is a bit gloomy, women can be innovative and try different types of creative designs like stripes, floral and chevron prints to bring a welcome change to their daily attire. On a concluding note, irrespective of the design you wear it’s very important to have the right attitude to flaunt it.